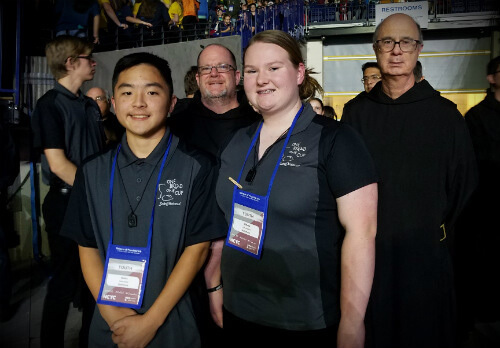 INDIANAPOLIS – When Hannah Thurner saw more than 20,000 young people kneeling in adoration of the Blessed Sacrament Nov. 17 at Lucas Oil Stadium in Indianapolis, the experience was eye-opening and inspiring. Moments earlier, the stadium was filled with the loud, joyous music of Christian hip-hop band TobyMac. Now, not a peep was heard as participants in the national Catholic Youth Conference (NCYC) peered intently and silently at a consecrated host held inside a gold monstrance. 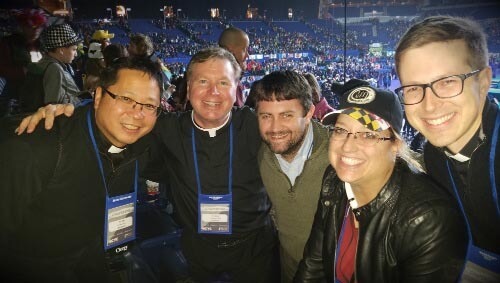 The Archdiocese of Baltimore was well represented at the national youth gathering Nov. 16-18, with nearly 250 people from 27 parishes traveling to the event. The parking lot of St. William of York in Baltimore Nov. 16 was filled with nearly 50 sleepy teenagers, excited chaperones, anxious youth ministers and a large, shiny white bus that would transport them early morning to Indiana. Three other buses left at 5 a.m. from elsewhere in the archdiocese carrying the rest of the Baltimore delegation to the event. Additionally, a youth group from St. Mary Parish in Annapolis flew to Indianapolis. NCYC is sponsored by the National Federation for Catholic Youth Ministry. This year, its theme was, “Called — Llamados,” a reference to Isaiah 43:1 where God calls Jacob by name. The doors of the stadium opened at 6:30 p.m. and Christian hip hop and pop artist Toby Mac welcomed the attendants with an astounding show full of lights, rhythm and message. Later, emcees Father Joseph Espaillat, founder of the Messengers of Christ Ministry, and Emily Wilson, musician and author, welcomed the crowd by sharing their own personal stories of faith and evangelization. 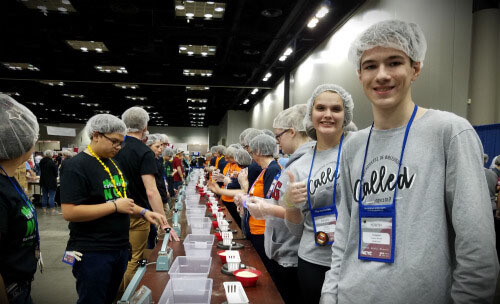 Several other featured artists, such as award-winning musician and producer Matt Maher, performed at NCYC during the general sessions and contributed to the general upbeat, cheerful mood of the gathering. 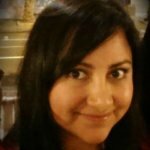 “Singing together (Matt Maher’s) songs out loud with others, many of my favorite ones, was an amazing experience, ” said A.J. Saquilayen from St. Joseph Parish in Fullerton. Chris Stefanick, an internationally acclaimed author, speaker and founder of Real Life Catholic, used humor and life experience to speak about the reality of who we are and of God’s love for each person Nov. 16. The Indiana Convention Center was the site of nearly 100 breakout sessions. workshops and mega workshops during NCYC. Its many corridors remained packed with eager teens in funny hats (used to trade between each other, an NCYC tradition) who walked leisurely yelling out their cities, parishes or simply chanting “NC!-YC! The different Baltimore youth groups headed to different sessions or to the Thematic Village, a unique element of the conference, which hosted hundreds of exhibitors and sponsors. Youths from St. Bernadette in Severn “walked with the poor” at the Catholic Relief Services Virtual Reality booth. The group from Our Lady of Grace volunteered for one shift at CRS Helping Hands. St. Stephen and St. John the Evangelist in Hydes took time to visit the Salesian Youth Ministry’s activity station. “When I was your age, I made a decision … to spend some time in prayer daily, and it has made an extra difference in my life,” Archbishop Gomez said. After three days of faith-related activities, prayer, encounter and entertainment, the Baltimore delegation returned to Baltimore Nov. 18. 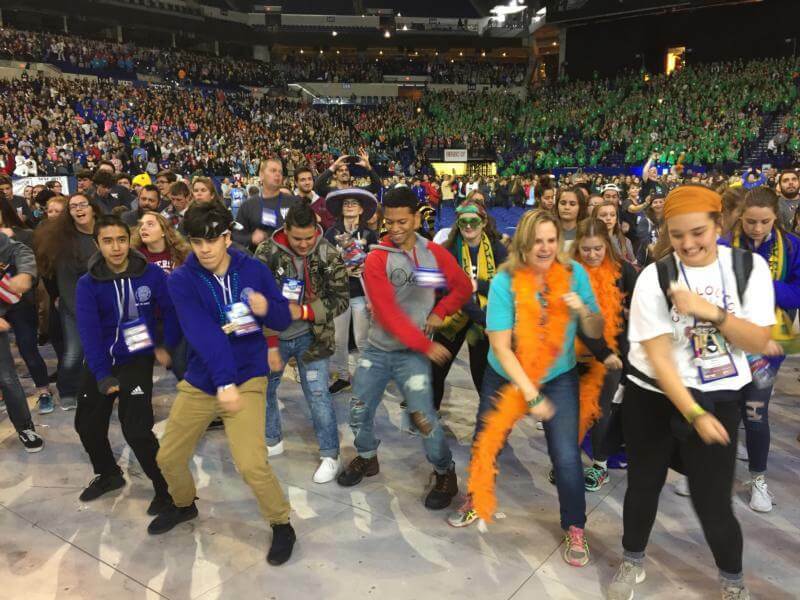 Maria Stoey, youth minister for St. Mark Parish in Fallston, said one of the highlights of NCYC 2017 for her was seeing how the six teens from her parish “bonded through their faith with others” and how the powerful stories that speakers share with these teenagers make a difference in their lives forever. Craig Gould, director of the Division of Youth and Young Adult Ministry, called NCYC an opportunity for young people to “bond and explore their faith independently” through myriad activities and entertainment. Matt Himes, a seminarian at St. Mary’s Seminary in Baltimore was impressed with the “amazing opportunity” for young people to feel united in Christ and saw nothing but “hope and life” in Baltimore youths.